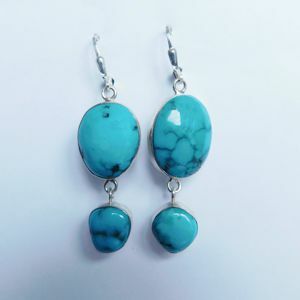 Turquoise cabochons, the rock stars of the gems, were my inspiration for this statement pair of earrings. 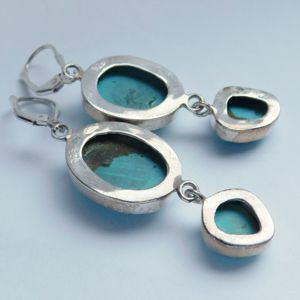 I simply set them in a Sterling Silver bezel and let them dangle. The gems measure 20 x 15 mm and 12 x 10. 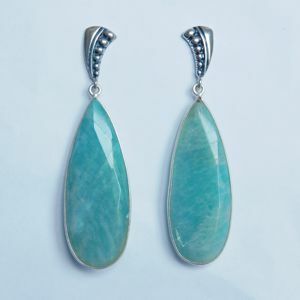 They are comfortable to wear and weigh 5.7 g per piece. The size of each earring is is 57 x 16 mm. 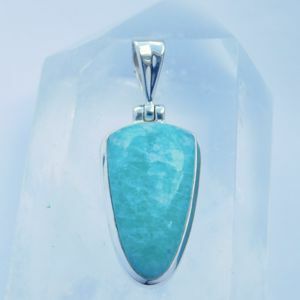 Turquoise is an opaque, blue-to-green mineral. It is rare and valuable in finer grades and has been prized as a gemstone ornamental stone for thousands of years because of it’s unique hue. 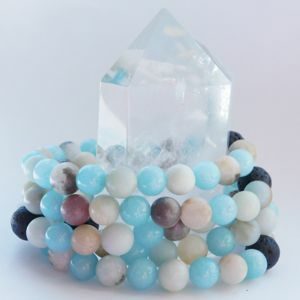 It is believed to restore clear vision to the mind and ensure good fortune. 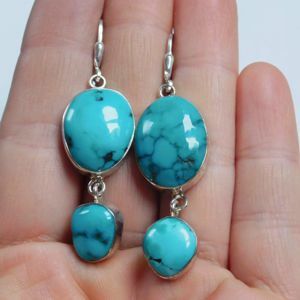 Tibetan Turquoise is traditionally received as a gift to pass on its natural fortune-bringing powers, so if you buy your own, make it a gift to yourself. 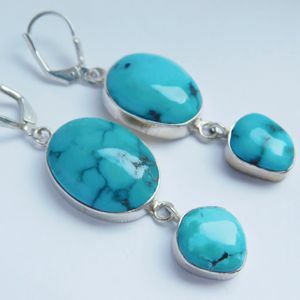 Turquoise is the birthstone of December.